Making a career into Interior Designing is magnificent when people are more creative and innovative in designing field. The demand for the interior designer has increased as everyone wants modern and attractive infrastructure in their life. For making a house more lavish and attractive with proper utilization of space and resources we need an interior designer. Thus interior designing as a profession has grown tremendously. The Interior Designers are creative experts but they should have great skills and technical knowledge. To become a successful interior designer you need to learn every aspect of interior design. There are lots of institutes which offers various courses which will make you a good interior designer. INIFD Pune is one of the best institutes that offer an interior design certification course. INIFD Institute Pune focuses on fundamental construction techniques, computer modeling, basic graphics representation, lighting, and materials and methods, with an emphasis on sustainability and user health and safety. Before joining an interior designing course, it is obvious to have a lot of questions in mind like what is a fee for course, eligibility, duration and many more. So here you get the answer to all your questions. Usually, the eligibility for an interior designing course is 10+2 and you can also do after engineering. The duration of the course varies from 1year to 3years & for engineering pass out student there is only 6 month of course program. So you can enjoy both the course program. And the main part is fee structure which differs from institute to institute. As a career point of view, you can join as an assistant interior designer, assistant manager, interior lighting designer, teacher, etc. Getting good certification from INIFD Interior Design Courses will open up a big world of opportunities for you with great income. 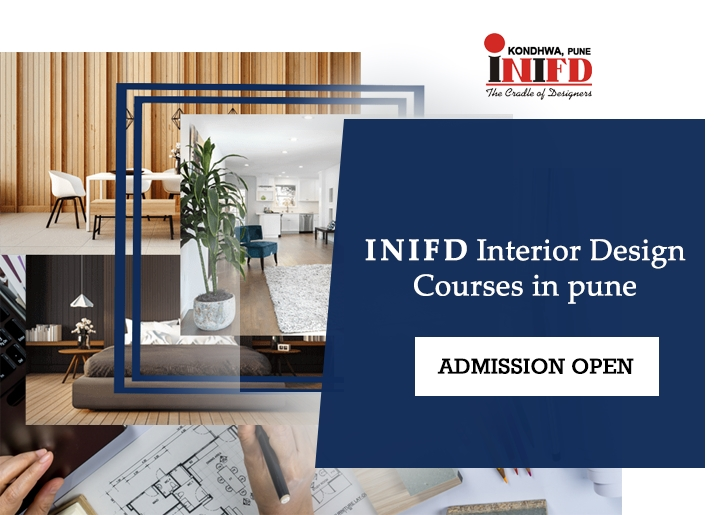 INIFD Interior Design Institute is the right choice for the aspirants to have a formal degree and be an Interior Designer. INIFD has realized the importance of creating skilled professionals in fashion domain who can cater to the ever growing demand of the industry fulfilling expectations of different segments of society. inifdkondhwa © 2018. All Rights Reserved.